Dr. HAMDAN Hani is a Professor in the Department of Signal Processing and Electronic Systems of the Ecole Supérieure d’Electricité (SUPELEC) since 2008. He received his Engineering Diploma in Electricity and Electronics option Computer Science and Telecommunication in 2000 from the Faculté de Génie of the Université Libanaise in Beirut, Lebanon, his Masters in Industrial control in 2001 from the Faculté de Génie of the Université Libanaise in collaboration with the Université de Technologie de Compiègne (UTC), France, and earned his PhD in Systems and Information Technologies in 2005 from the UTC. Between March 2002 and August 2005, he worked as a Research Engineer in Computer Science at the pole ICM (Ingénierie, Contrôles non destructifs et Mesure) of CETIM (CEntre Technique des Industries Mécaniques) in Senlis, France. During this period, he developed Clustering and Classification methods for real-time monitoring by acoustic emission of pressure vessels. From 2004 to 2005, he was President-elect of the Mouvement Associatif Doctoral of the UTC. From 2005 to 2006, he was Researcher at CNRS (French National Center for Scientific Research), where he worked on the analysis and synthesis of speech. From 2006 to 2008, he was an Assistant Professor at the Université Paris-Nord (Paris 13), where he conducted research in classification, automatic control, and data analysis. He is author or co-author of more than 50 scientific papers. He is involved in the International Scientific Committees of many International Conferences such as the International Conference on Advances in Computing, Communications and Informatics (ICACCI-2014), Delhi, India, the IEEE International Conference on Ultra-Wideband (ICUWB 2014), Paris, France, the International Multi-Conference on Computing in the Global Information Technology (ICCGI 2014), Seville, Spain, the International Conference on Computational Logics, Algebras, Programming, Tools, and Benchmarking (COMPUTATION TOOLS 2014), Venice, Italy, the International Conference on Developments in eSystems Engineering (DeSE 2014), Paphos, Cyprus, the International Conference on Advanced Technologies for Communications (ATC 2014), Hanoi, Vietnam, the IEEE International Conference on Systems, Man, and Cybernetics (IEEE SMC 2014), San Diego, California, USA, the IEEE International Symposium on Applied Computational Intelligence and Informatics (IEEE SACI 2014), Timisoara, Romania, the International Conference on Bio-inspired Information and Communications Technologies (BICT 2014), Boston, Massachusetts, USA. His current research interests include signal processing, automatic control, and pattern recognition. Abstract: Mixture models are famous in statistics and data analysis. Their use is particularly interesting for data clustering where they can offer a powerful, flexible, and interpretable framework for many applications. In this context, it is important to estimate the parameters of a mixture model from observed data. Many approaches were proposed in the literature for this purpose. In particular, two maximum likelihood approaches are commonly used: the mixture approach and the classification approach. Loosely speaking, the mixture approach is aimed to maximize the likelihood over the mixture parameters, whereas the classification approach is aimed to maximize the likelihood over the mixture parameters and over the identifying labels of the mixture component origin for each point. These approaches are suitable when clusters may present several constraints (different proportions, volumes, orientations, and shapes). In this talk, the fundamental and basic concepts of mixture models estimation will be presented. A special attention will be paid for the Expectation-Maximization (EM) algorithm and the Classification EM (CEM) algorithm. A feedback on the implementation and use of these algorithms will be provided. In addition, some hard and open problems (big amount of data, new data structures and types, imprecision and variability of data, validation of the obtained partition structure, model selection, choice of the clusters number, etc.) and some promising solutions will be suggested. In order to show the usefulness of the presented approaches, some examples from real applications will be illustrated. Dr. Dhiya Al-Jumeily is a Principal Lecturer in Applied Computing and leads the applied Computing research Group at the faculty of Engineering and Technology. He is also the head of Enterprise for the faculty and he has already developed fully the first online MSc and BSc Courses for Liverpool John Moores University. Dr. Dhiya Al-Jumeily has published numerous referred research papers in multidisciplinary research areas including: Technology Enhanced Learning, Applied Artificial Intelligence, Neural Networks, Signal Prediction, Telecommunication Fraud Detection, Image Compression and Multimedia databases. He is a PhD supervisor and an external examiner for the degree of PhD. He has been actively involved as a member of editorial board and review committee for a number peer reviewed international journals, and is on program committee or as a general chair for a number of international conferences. 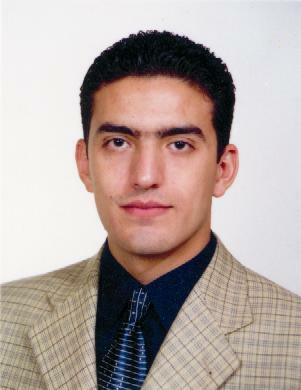 Dr. Dhiya Al-Jumeily was appointed as a lecturer in Computer Systems in 1997. Prior to this, he was a scholar reading for a PhD in Applied Artificial Intelligence at Liverpool John Moores University, on the topic of Intelligent Tutoring Systems. He also worked at the same department as a research assistant in the area of statistical computing and managed to obtain his MPhil in 1995. Earlier, in 1987 he completed his BSc (first class) in Mathematics at Baghdad University. He worked as a research assistant at Baghdad University in 1987-1990, where he was involved, as part of a large research group, in a number of projects. He then studied the Postgraduate Diploma in Mathematics at Liverpool University in 1991. Dhiya is a member of the IEEE and the British Computer Society (BCS) and has achieved his Chartered IT Professional status in 2007. Abstract: Applied computing is the use of practical knowledge of computing science to allow for the utilization of the latest industry technology and techniques in a variety of different fields ranging from business to scientific research. Applied computing covers many different fields of computing and as such often requires an extensive knowledge of the field in question and a large numbers of trained people to implement. This talk focuses in one of the important filed of applied computing which is Artificial Intelligence (AI). Artificial Intelligence will be introduced with two real world applications, which are Medicine and Education. The first part of the talk will be focused on Artificial Intelligence in Medicine (AIM), which is now taking up the challenge of creating and distributing tools that, can support medical doctors and specialists in their profession. It will start by defining the problems addressed by the field; a short overview of other technical approaches to these problems will be presented with an introduction of some of the fundamental ideas of artificial intelligence. A brief description of the current state of the art of AIM will be presented with a discussion of its technical accomplishments and current problems, and looks at likely future developments. The second part of the talk will consider Artificial Intelligence in Education (AIED). It pulls together work from multiple disciplines, in particular: computer science, software engineering, education and psychology to explore ways in which learning and teaching can benefit from technology that draws upon research in Artificial Intelligence (AI). The nature of the research conducted under the heading of AIED has developed and evolved over the past 25 years or so and has attracted different educational and technical communities that interested in supporting and enhancing the learning and teaching process in real time using AI techniques and methods. Theoretically grounded research is supported by systematic empirical evaluation that informs further learning theory development. The outcomes of such research with the support of advanced AI methods and techniques have contributed to the development of tools that aimed to support and enhance the teaching and learning process. Increasing attention is paid to the affective and collaborative as well as the intellectual aspects of learning with very active research being conducted to investigate collaboration, metacognition, motivation, and emotions, as well as the more traditional areas of intelligent support. The talk will be concluded with a case study that involves the proposal of a new technology acceptance model (TAM) to support the development of education. The focus is thus laid on creating an adaptive eLearning system that factors-in user acceptance based on cultural influences. The proposed TAM includes self-efficacy, system accessibility, subjective norms, perceived ease of use, behaviour intention, and perceived usefulness based on the TAM as proposed by a well-known research. An experiment was reported as part of this research that involved one group of students in Middle East and one in the UK. This experiment measured the differences in TAM outcomes between students who have grown in Middle East and the UK. The challenge members of the Middle Eastern and Gulf Arab communities, is that the internet, ICT and e-learning have arisen and are therefore inevitably associated with western contemporary culture, which is different from Islamic culture.